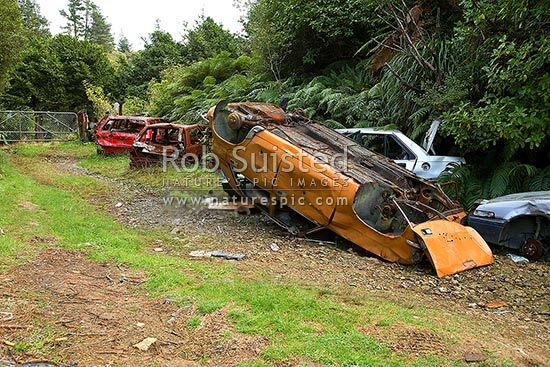 Car wrecks of stolen vehicles abandoned on a remote forest road track. Gun shot holes and fire damaged. Environmental rubbish, Akatawara Valley, Wellington Region, New Zealand (NZ), stock photo.